Additional parking is available at First Coast Cross Fit, located next door. Public Transit Stop Located At Park & Ingleside. Restaurant Orsay understands that when we cater your event, we don’t just bring in our trained staff, and our delicious food–we bring a commitment to bringing your vision to life. Our talented staff will liaise with the florist, the musicians, and even the rental company to ensure that every detail is perfected. Our chefs will work with you to create a culinary event to be proud of, which also reflects your personality and any dietary considerations. Because we know you aren’t just interested in dinner, you want an experience worth sharing. The private dining room at Restaurant Orsay is the perfect balance between style and substance. Designed to evoke feelings of lush intimacy, the space is nonetheless perfect for meetings and conferences as well. State of the art audiovisual equipment is available as well as high-speed internet. Located slightly off the beaten path in the Avondale Historic District, Restaurant Orsay attracts regular locals and foodies from across the southeast by showcasing their French Cuisine in a warm, inviting atmosphere, without being pretentious or stuffy. Owner Jonathan Insetta, Managing Partner Jason Eddy, and Executive Chef Michael Mckinney, work to bring locally sourced ingredients together with genuine southern hospitality. Recognized as Jacksonville's best restaurant by locals in Folio Weekly, Restaurant Orsay is a premier dining destination on the First Coast. The establishment is accredited by AAA with four diamonds, has won numerous awards for food, service and wine, and is the only independent establishment in North Florida with Wine Spectator’s “Best of Award of Excellence. This is the best restaurant in Jacksonville. The food is French, however there are some classic American items on the menu. The escargot and lobster mac and cheese are particularly good dishes. 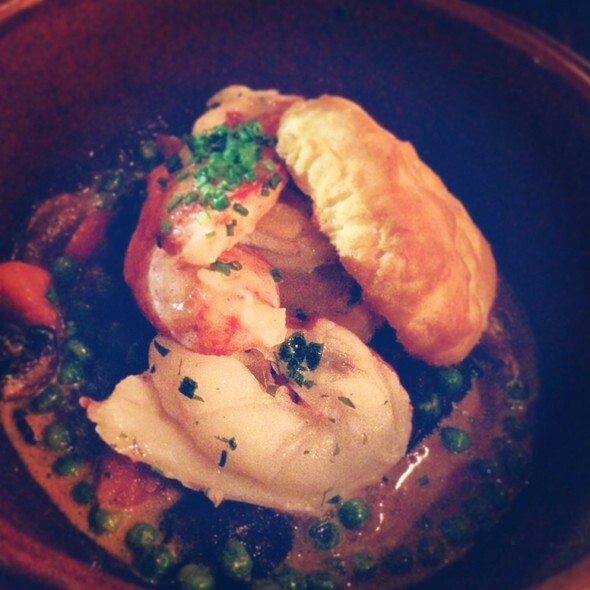 The lobster pot pie is not your typical pot pie, but oh so delicious. The wine list is varied and reasonably priced - lots of French wines are available. Went for brunch and sat at the bar. I’m a visitor to Jville and Orsay was recommended. It did not disappoint!! I was impressed with the menu knowledge of the staff. The trios foie mousse was incredible with the red onion marmalade. The quiche of the day was gruyere, shallot and lardons with a beurre blanc and petit salad. I felt like I was back in Paris. I would definitely return & recommend! Orsay does everything right. We loved celebrating one anniversary there on 4/7. Complimentary desserts was an unexpected, added bonus! First time there and we had a great experience. The fish was excellent. Service was fantastic. Generally fabulous food. Make sure you save room for desert. I've long felt that Orsay is the finest restaurant in Jacksonville, and every time we go that opinion is reenforced. The food, the service, the ambience, are all simply the best. It was as great as it always is! Have been to Orsay many times. This was the first time I was disappointed in the evening. When I made the reservation, I assumed all reservations made were for the main dining room. Important to note..... you have to specify which dining room you want when you make your reservation. Sitting in the bar is very noisy, My group is all in their seventies and we needed the quieter location. The hostess was not the least bit apologetic. I almost always order the trout. This time the trout dinner was way too salty. Another guest at my table ordered the venison, which was declared uneatable and was sent back. Not anxious to go back with so many other great places to dine in Jacksonville. Meanwhile, the waitress was wonderful !!!!! The food was delicious. Unique flavors and nice wine selection with good prices. Some of the tables are very close together so you are very cozy with fellow diners. Without question we will be going back to this wonderful place. We’ve usually tried to get to Orsay at least annually with friends (we live an hour north of Jacksonville). Sadly, missed last year, so pleasant to return. Our server (Antoine?) was a true professional’ really knew his stuff. And we had a nice table for four in the back room, much preferred. Dishes enjoyed by our group included the escargots, the Brussels Sprouts, the Split Pea Soup, the Duck Breast, the Beef Stroganoff and the Berkshire Pork Chop. Smiles all around. My wife hoped the Brussels Sprouts had been crispier. Great place. Very informal, unfortunately a little too much so with some spirting baseball caps at the table. Great food. Superior service. I’ve never had anything but a great experience here. It doesn’t matter if it’s happy our for a few drinks or a full dinner date everything is always top notch. Definitely my favorite restaurant in Jacksonville. Excellent on all levels. Wine list is exceptional....a Jacksonville favorite. Restaurant Orsay was sensational. We had beef stroganoff (made with short ribs) and a fish risotto with bacon. They were both heaven in a bowl. Robert was our server and was very friendly and efficient. If there were six stars to rate it, I would give it a six! This is the second year in a row that I’ve chosen Orsay for my birthday dinner and it never disappoints! We saved up to be able to go, but it’s worth every penny! We feel like we’re back in Paris when we eat there! We went earlier this year to be able to enjoy their happy hour which meant we were able to try more delectable food for our money! We had the boullibaise and mussels small plates, escargot and scallops appetizers, and the duck breast entree and they were all amazing and we highly recommend all of them! Can’t wait to go back!! Family was visiting and we wanted to have a special night out. 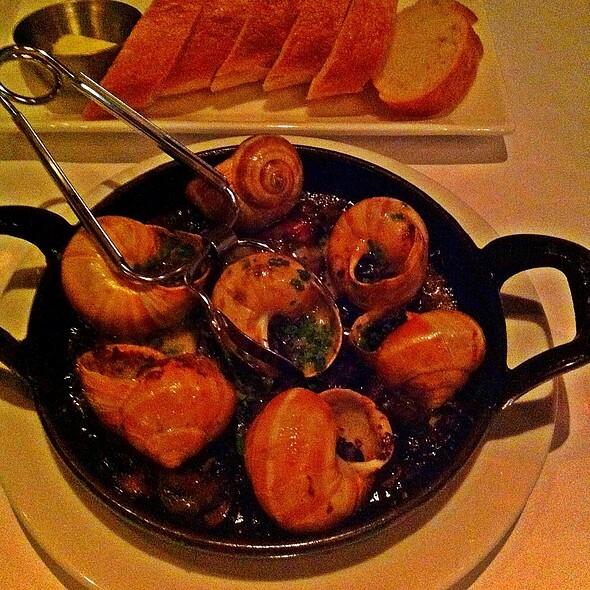 The escargot and wine were amazing. The shrimp cocktail was cold and fresh. 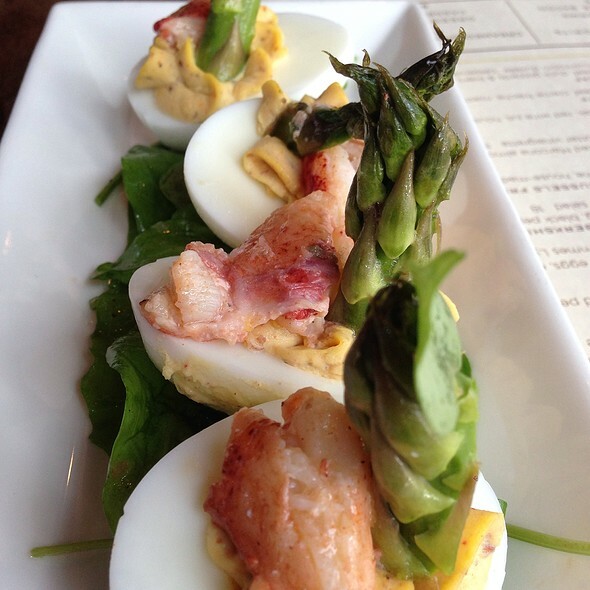 We loved it so much we went back for brunch a few weeks later and enjoyed eggs a la Orsay. We watched amazing pastries fly by our table and the staff adhered to all the demands of our 5 yr old. Both dinner and brunch were amazing. Two different experiences but great. Best part the blood orange martini. The moody hostess at the desk could not have been more condescending. My wife ordered a dish that promised a whole lobster. When it came out it had maybe half of a lobster. Would NOT recommend. We love Orsay and it did not disappoint. Great food and service! I was very pleasantly surprised upon entering the restaurant and our waiter was truly the best there is I believe his name was Bryson. Everything from the food to the service to the quaint atmosphere was truly a delight. I will definitely be back very soon. 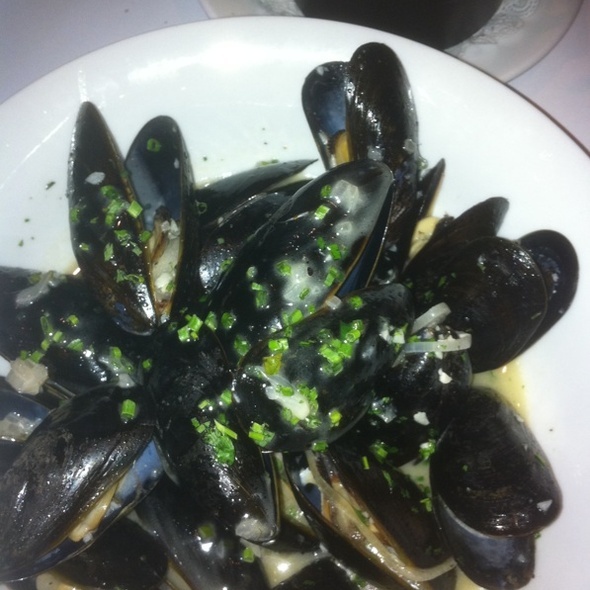 Food was just ok, wife had the mussels in wine sauce, the dish was so salty she should have sent them back. I told the waitress to tell the chef but got no response from anyone. Service was good just wish the food was as good. Delicious! Orsay is the best restaurant in Jacksonville, in my opinion. Their twist on a traditional French menu makes Orsay one of a kind and their wine list is among the best I've seen anywhere in the world. Pro-tip, if you prefer less energy in the room, request a table in the dining room, rather than in the bar area, which is always very energetic. Restaurant as a whole was extremely pretentious. Food was average at best and expensive for the portions. We were convinced by our server to change the temperature of an entree to, “medium plus.” It ended up being way too close to rare for a dish we initially wanted medium. Cocktail was almost undrinkable because it tasted like a spice cabinet. Maybe I’m an overly critical foodie from New Orleans but I would NOT recommend this restaurant. Ful menu and delicious food! Loved the brussel sprouts and macaroons. Service was outstanding. Would recommend to anyone traveling to or through Jacksonville. We celebrated my husbands birthday here and we are just blown away by the excellent customer service by everyone. The food was amazing, and the drinks...Lear just say you get your money’s worth. So so good. I suggest the lobster Mac and cheese and brussels sprouts. The filet was cooked to perfection and our server Tony was very detailed, efficient and overall made sure my husband had the best experience. We will be back and just thankful to the staff and manager Nicole for such a great night. Absolutely recommend Orsay - it's our favorite Jacksonville dining experience. 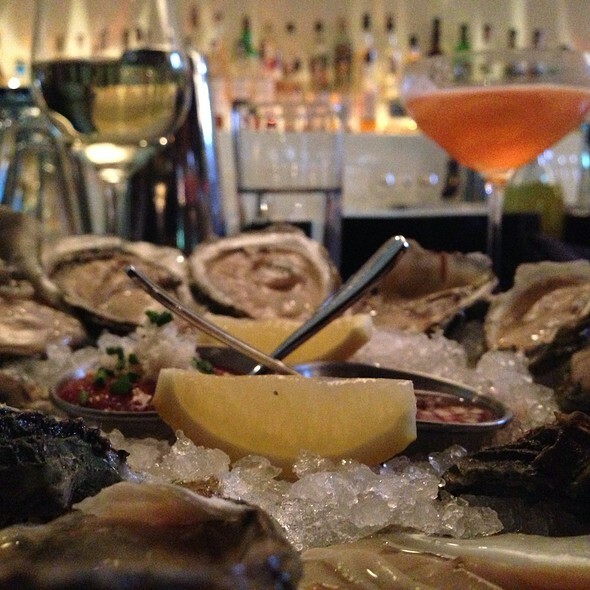 Phenomenal cuisine, remarkable wine list, impeccable service, beautiful atmosphere. 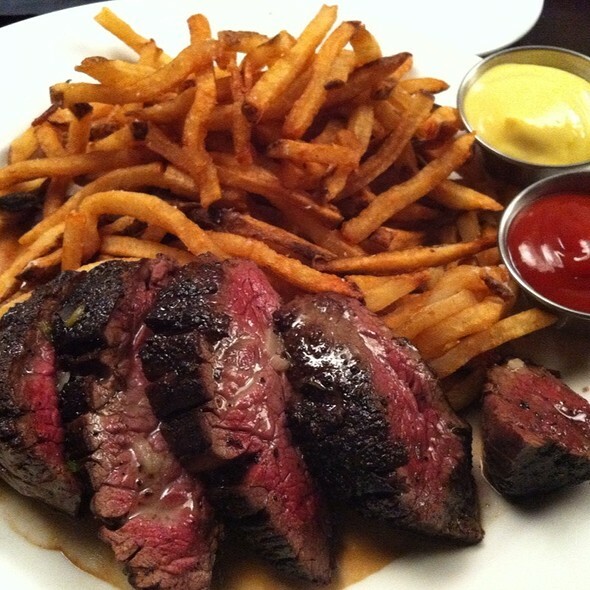 Orsay lives up to its reputation as one of Jacksonville’s premier restaurants. This is French cooking prepared with reverence for tradition, but with room for creativity.Farm to table ingredients are embellished, but never overpowered. Stir in seamless and highly knowledgeable service, and you have a recipe for excellence. This restaurant would be a star in Manhattan. The food was amazing as always! I had the vegetable Shepard’s pie and my date had the pan roasted fish. We both were pleased. Everyone was professional and courteous. Will definitely be back! 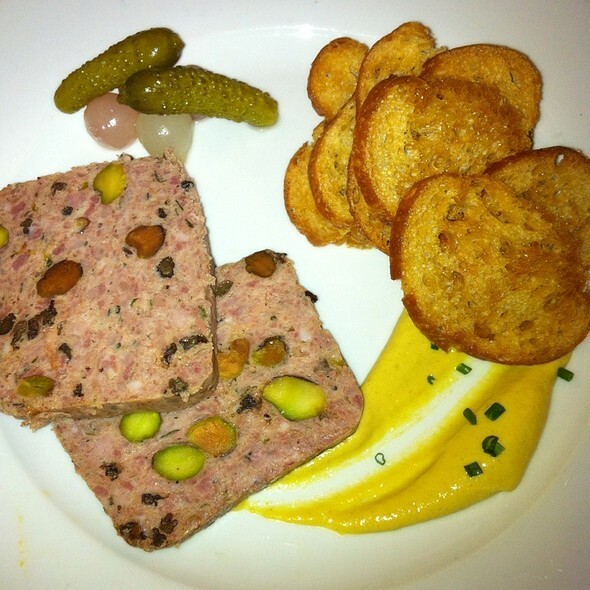 Orsay is terrific in every way-the menu is varied and creative. We arrived early and were pleased to discover that the (huge) Gulf oysters were half price. 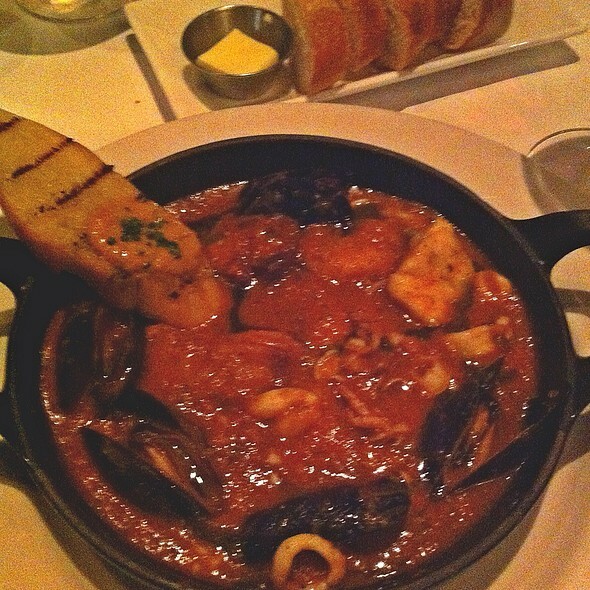 The mussels were ironically small but delicious. The scallops entree was perfect. Service was outstanding. Our experience was not as good as previous visits. Was disappointed in the roasted oysters. My short ribs were chewy and not very favorable. Had the filet last visit, it was awesome. Service was very good. We will return believing this was just an off night. Get the roasted oysters! Brunch is terrific and the two dollar eggs rock! Nice little place tucked away in the neighborhood. The drinks were well made and at an average price. The service was good except for a few hick-ups. However, the food was okay at best and over priced. Wonderful experience! Went here for my boyfriends birthday and had an amazing time. Food was phenomenal, Rob our server was great! We brought friends for their first meal here. We all loved our food. Everything was wonderful just like always. In addition, I’m a vegan, and Orsay is one of my favorite restaurants. I appreciate the quality of the vegan dishes: delicious and thoughtfully composed. Thank you. Amazing birthday brunch! Raul our waiter was so knowledgeable and really made the experience wonderful. Will be coming back. The food is fantastic! Would definitely recommend to anyone visiting Jacksonville. 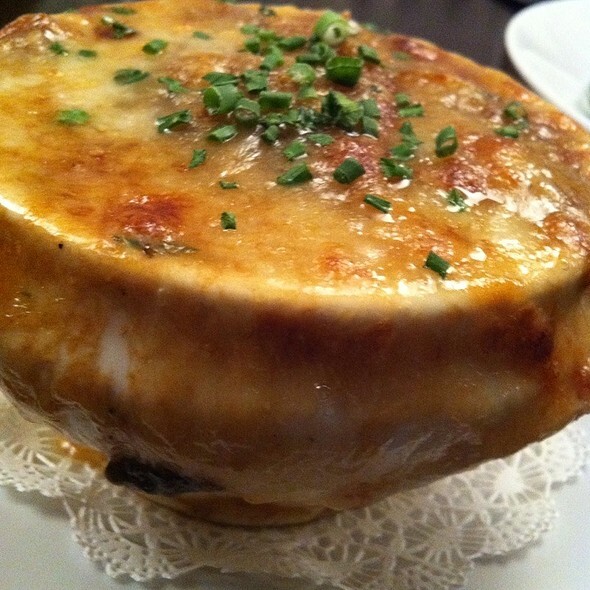 The French onion soup and escargot is worth ordering! Everything was excellent as always. Our favorite place to celebrate.... life is worth celebrating! !